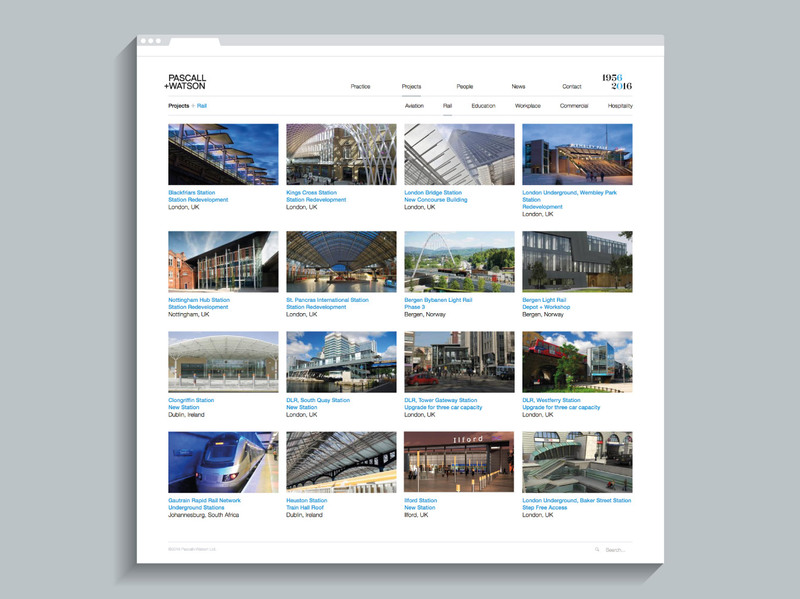 Pascall+Watson are a multi-award-winning architectural practice with a particular specialism in transport infrastructure such as airport and railway terminals. 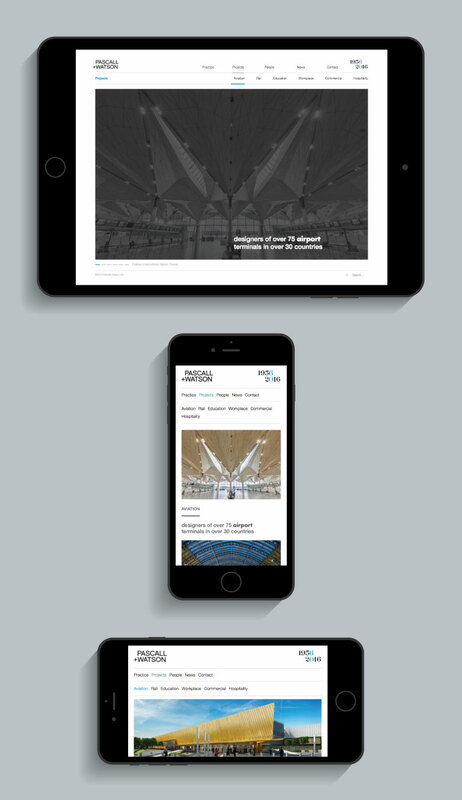 To coincide with a re-brand, Naked Creativity were tasked with designing and developing a complete replacement for Pascall+Watson’s previous internally-designed Flash website. 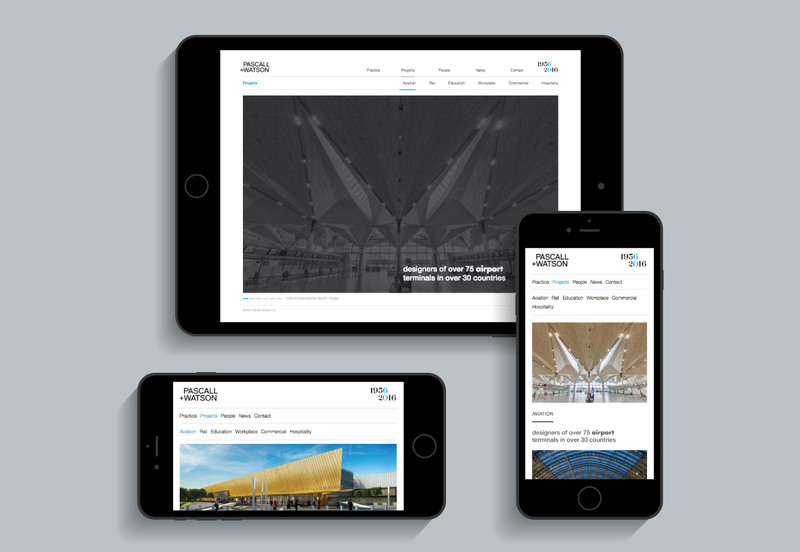 The new website showcases Pascall+Watson’s portfolio with large images and a responsive design that adapts to different screen sizes and devices. 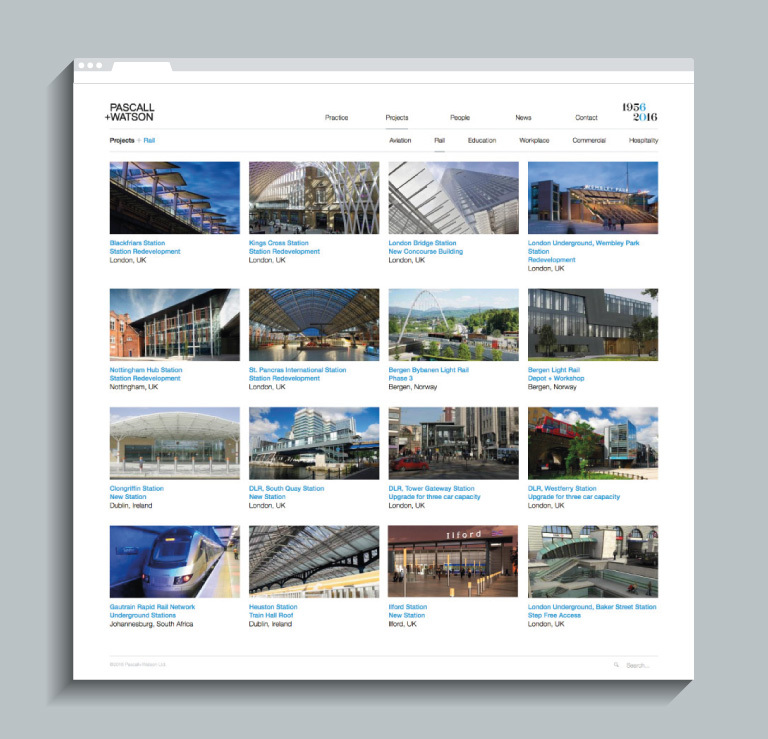 Naked Creativity’s exclusive content management system, Cee.ms, allows the marketing team to have complete control of content and images across the site. 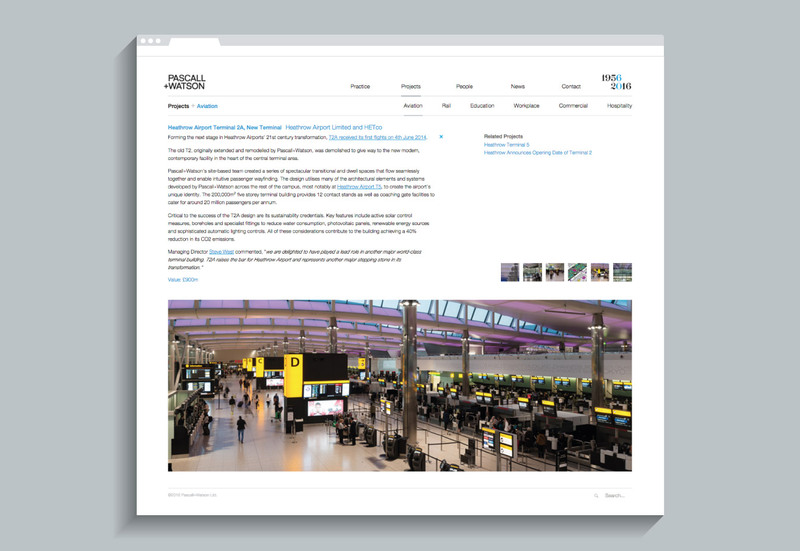 The user-friendly interface allows simple, quick and flexible editing of the website content, backed up by support from the Naked Creativity team. 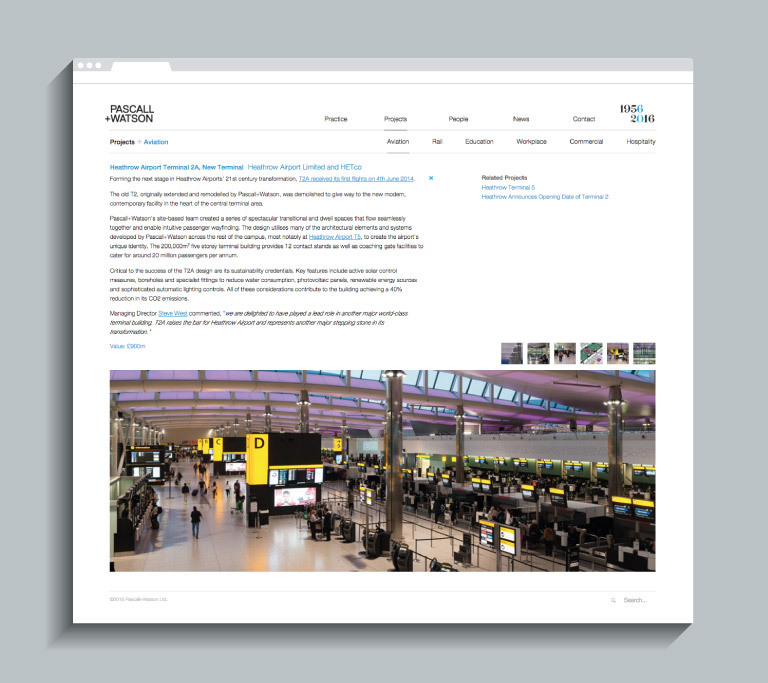 Naked Creativity’s new website for Pascall+Watson has delivered cost savings to the client by removing the need to outsource website editing. Users benefit from a substantially improved experience regardless of device, and the website is scalable for future growth. 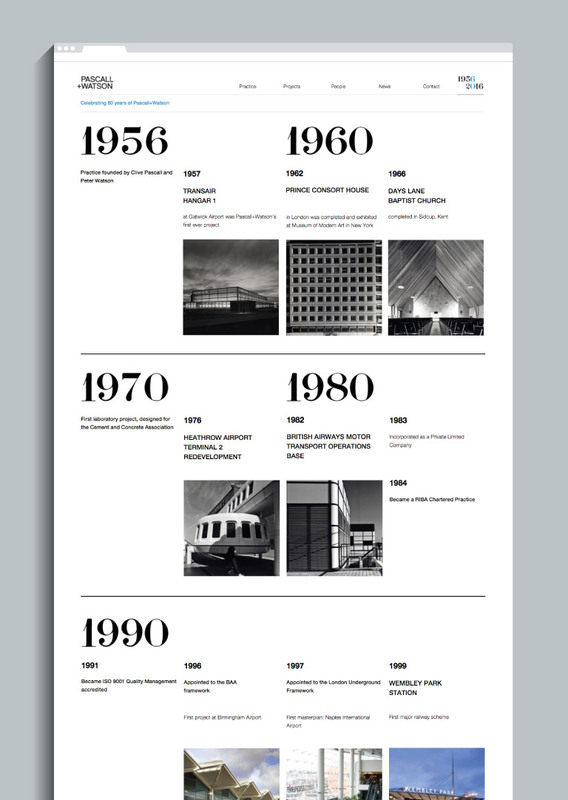 Since launching the website Naked Creativity have made further ongoing design updates, including an editable timeline page to celebrate Pascall+Watson's 60th anniversary. 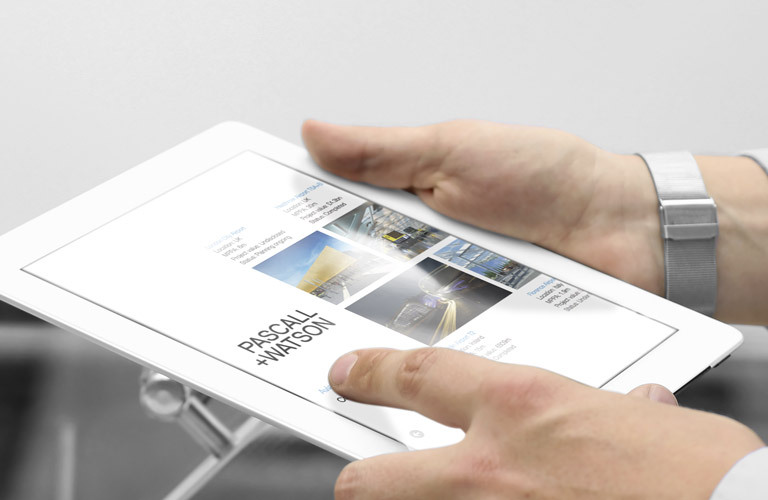 In order to present new projects and design competition entries to potential customers, Naked Creativity were asked to build a Pascall+Watson iPad app. As the portfolio contains commercially-sensitive images, the app is distributed privately rather than through Apple’s App Store. With rapid, low-cost updating of content, and automatic installation of these updates to devices, the project has been highly successful in reducing costs (particularly compared to printed marketing), protecting sensitive content and showcasing projects in an interactive and engaging manner. 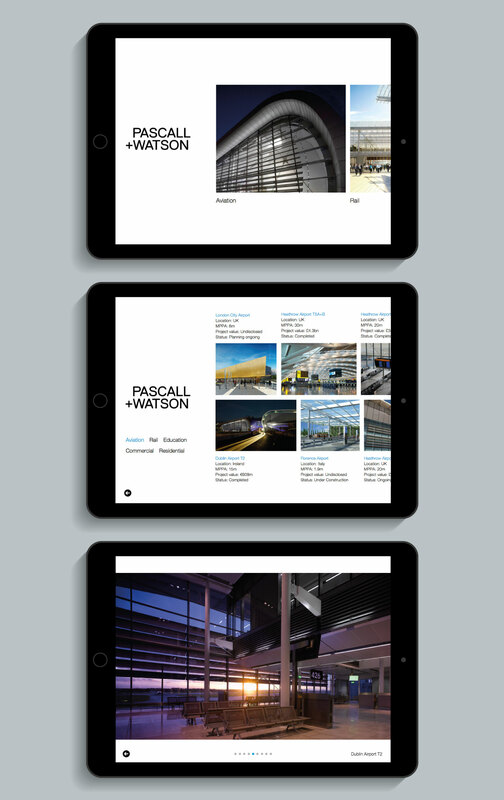 We used Naked Creativity for a complete redesign of the Pascall+Watson website in line with our company brand refresh. Jordan and the team have been great to work with. 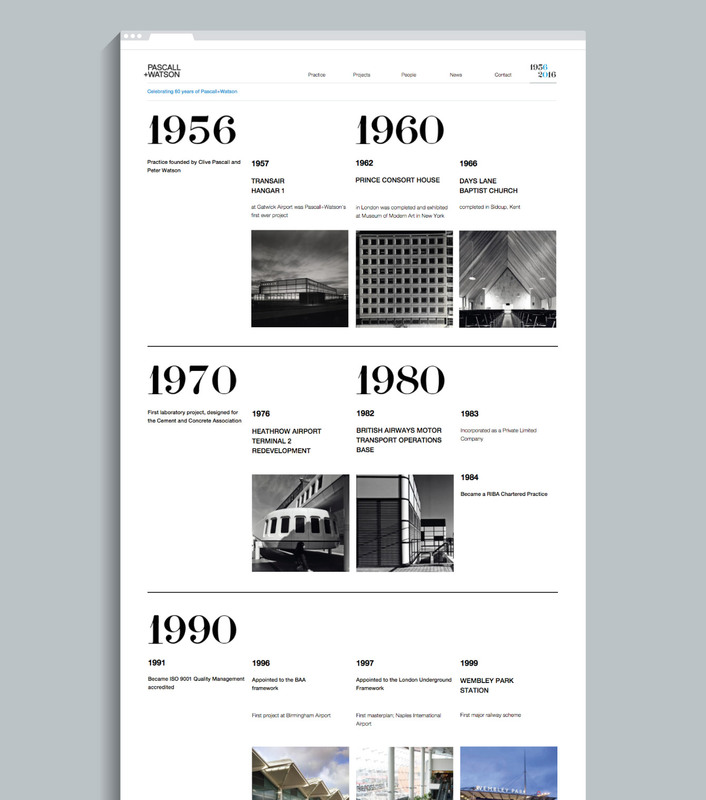 I am extremely impressed not only with the quality of the design, but also the site’s placement on search engines as a result of vastly improved search engine optimisation built into the site. Our marketing team uses the Naked Creativity Content Management System to update the site, and they find the CMS very easy and intuitive. We continue to use Naked Creativity as our website grows and changes and I would highly recommend them.